The Model 35601 is the MOART System without the PsymCon Control. 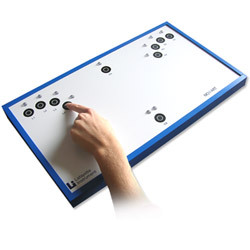 This panel requires either the PsymLab Software, Model 35800A or the PsymCon Control, Model 35500 for administration. For more information about the Model 35600 MOART Reaction Time System, view the RELATED PRODUCTS tab. For more information about PsymLab or PsymCon, view the ACCESSORIES tab.